Home » Shop » Sticker-On!™ Decal Application Fluid 2 oz. Home / Accessories / Sticker-On!™ Decal Application Fluid 2 oz. Sticker On!™ takes the frustration away from decal applying. No more bubbled, misaligned, or wrinkled decals. Curvy application areas are easier to do. Sticker-On!™ on the back of your decal and the application area, slide and position into place. 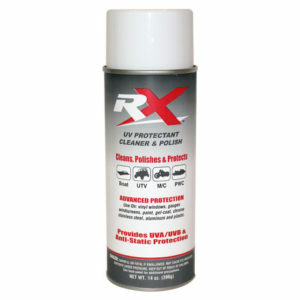 Sticker-On!™ reactivates the adhesive in your decal when it cures. Environmentally friendly and comes in a convenient push pump 2 oz. recyclable bottle. Dealers save time and money, use our shop size for installing OEM replacement decals.